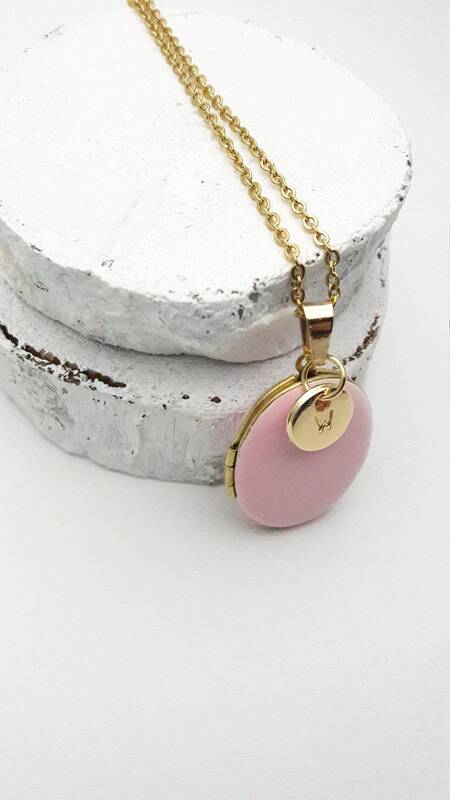 Personalized Soft Pink Enamel Oval Photo Locket Necklace gold surgical steel chain//Custom Monogram Locket//Initial Locket hypoallergenic. 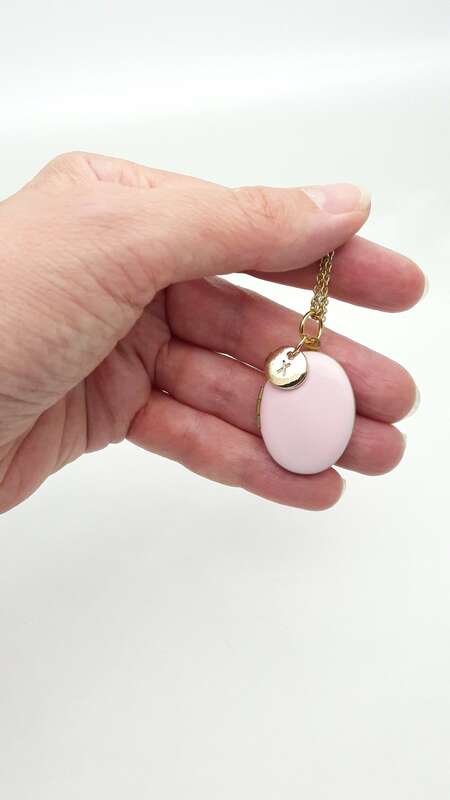 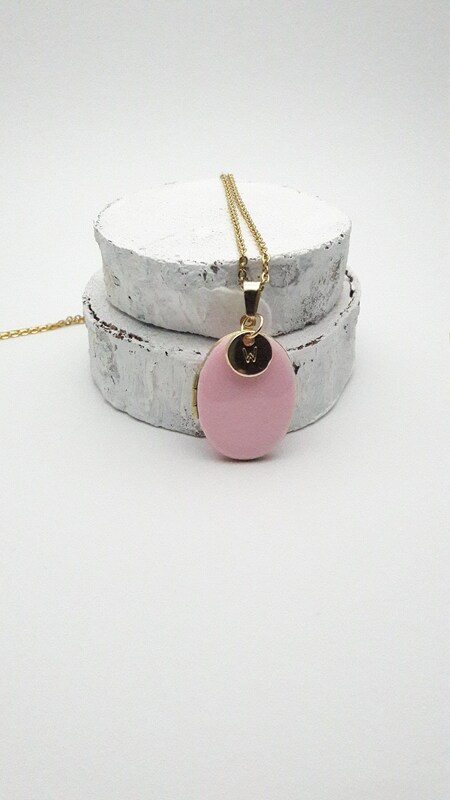 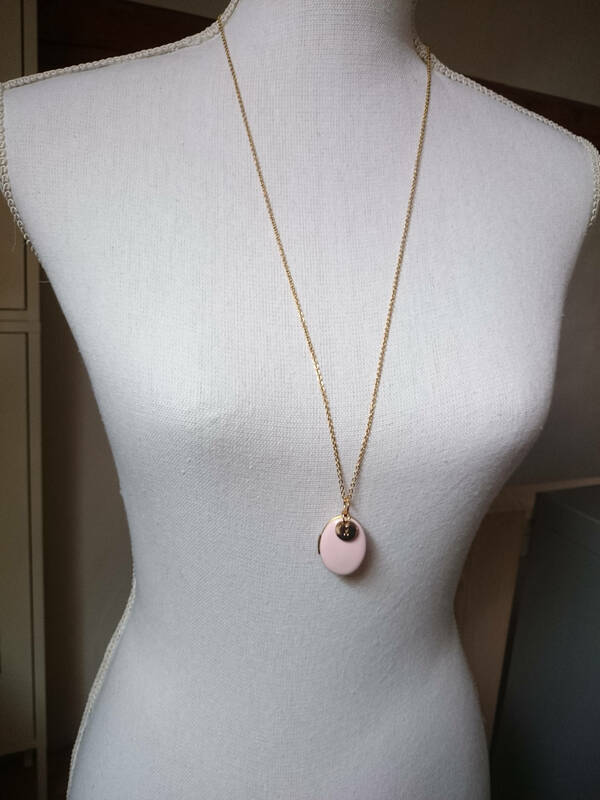 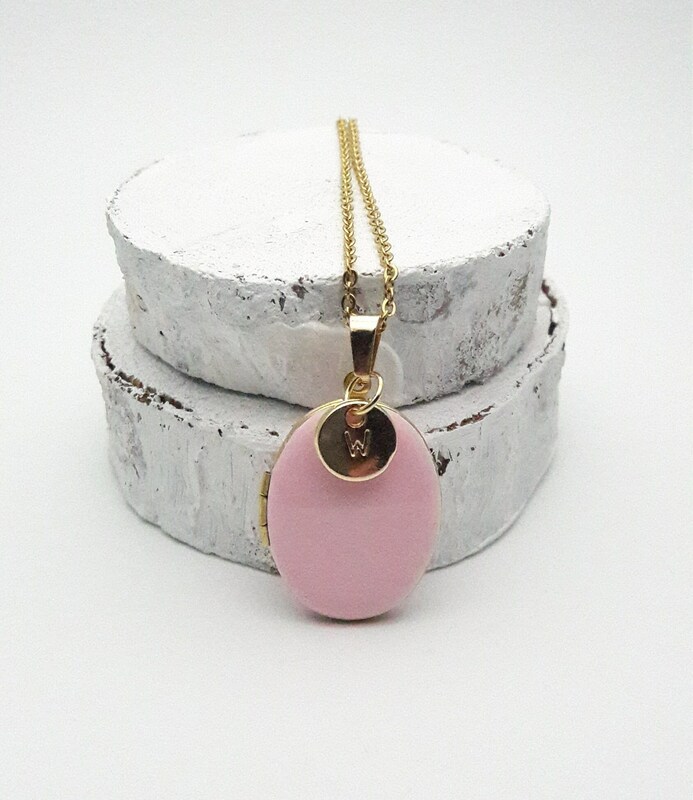 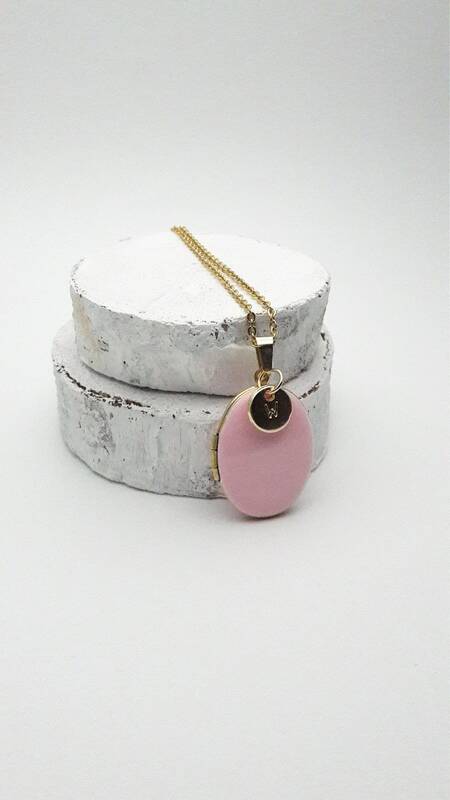 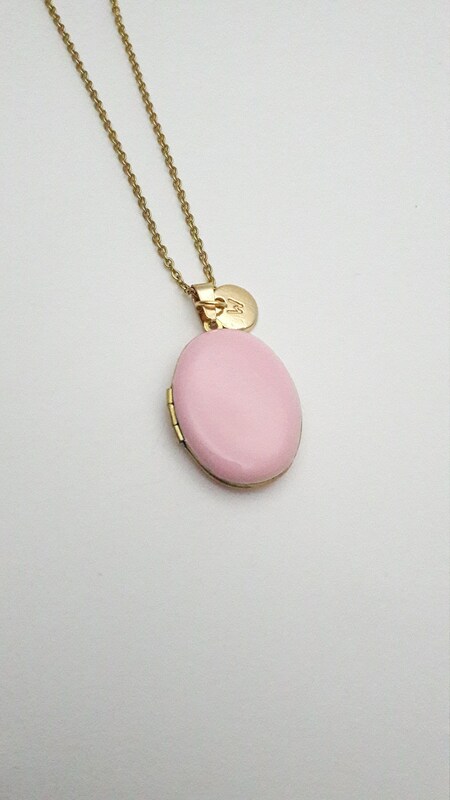 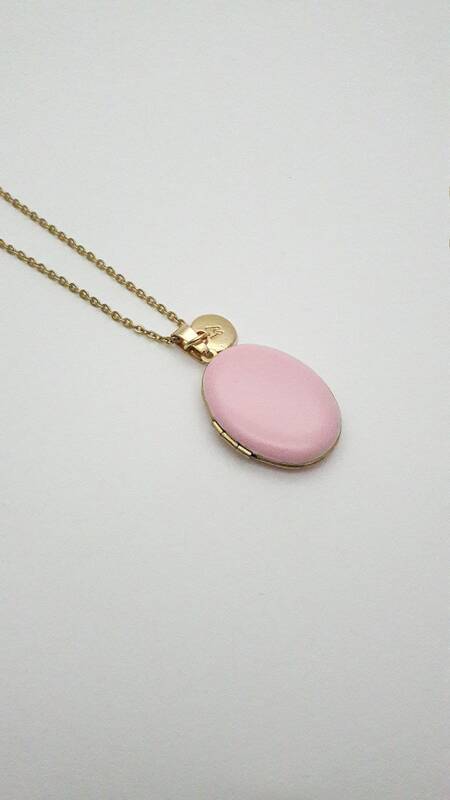 Long Necklace made of stainless steel Gold Color Chain closed with lobster clasp and an Oval Photo Locket Pendant enameled soft pink pastel color on brass. 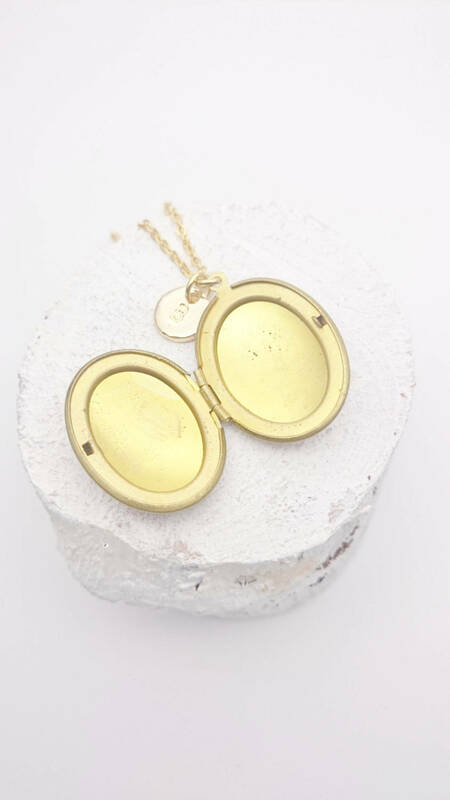 The locket is enameled on front and back. 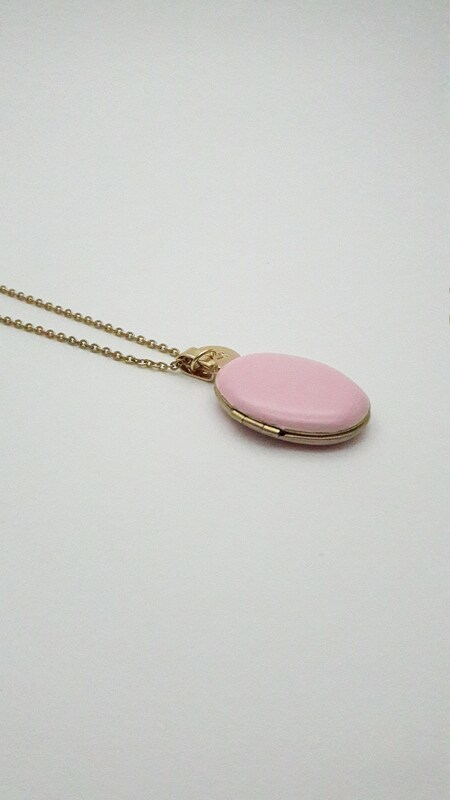 Inside is gold brass and you can put one or two pictures in it.